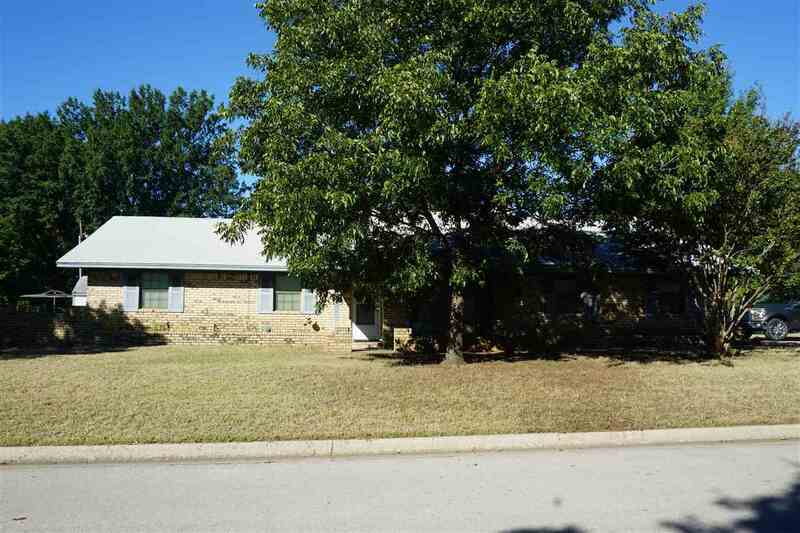 Sturdy and snug describe this charming 3 bedroom, 2 bath home. It has been well-maintained and just needs a little updating. Check out the beautiful rock wall in the living room with a wood burning fireplace or the amply-sized kitchen with lots of cabinets, a built-in desk area and a large pantry. There is even an extra room that would work great for a office or sewing room. This home is insulated very well and has low utility bills. Recent improvements include new front and garage doors. The roof is also fairly new. The spacious front yard features custom flower beds. In the back, you will find a nice covered patio to enjoy coffee in the morning, a storage building and even a clothes line for old-fashioned, fresh-air laundry drying. This house sits on a corner lot and has plenty of parking space. It is close to shopping, restaurants and medical facilities. This 1, 602 square foot home has a lot to offer and is ready for just its fourth family. Come look!